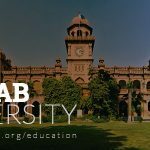 The University of the Punjab PU Lahore admission 2019 is going to start in various degree programs of bachelor, masters, MS, MPhil, and doctorate including BA, MA, Bed, Med, BSc, MSc, BBA, LLB, MBA, BS, M.Phil, MS, Ph.D. Punjab University Lahore is one of most famous as well as the great university in Pakistan who have the title of increasing knowledge rate yearly. Currently, Admissions are opened in different departments including Medical, Engineering, Humanities, Information Technology, and Languages, LL.B, M.Com. 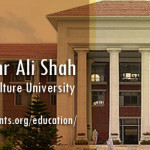 Many of the degree programs are offered by Punjab University for both regular as well as private students who wish to continue their studies but cannot manage to take regular classes. Punjab University PU is the oldest university of Pakistan having established back in 1882. PU being a public university has an affordable fee structure as compared to the other universities of the private and public sector. 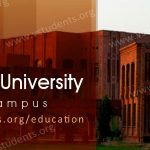 PU Lahore has started many undergraduate, graduate and Ph.D. programs which are recognized and accredited by the HEC (Higher Education Commission) and its affiliated bodies. 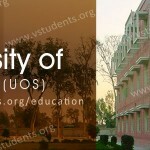 PU (Punjab University) provides Scholarships to the students on need and merit-based. It is informed to all the interested candidates who wish to take admission at Punjab University PU Lahore and its affiliated institutions that University has announced the start of Admissions 2019 in undergraduate, Masters and doctorate degree programs including BA, MA, B.Sc., BBA(Hons. ), M.Com., M.Sc. 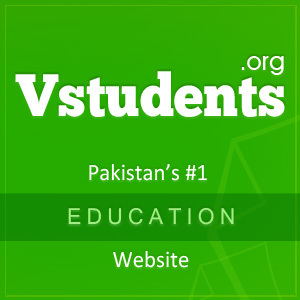 Accounting & Finance, Ph.D. in History, Philosophy, Urdu, English and many other subjects. PU has Allama Iqbal and Quid-i-Azam Campuses at Lahore named after two great National Heroes. For MS, MPhil, MSc (Engg/Hons) and Ph.D. programs the admission details 2019 are below. Click Here to check the latest admission schedule PU Lahore. 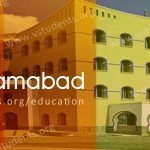 You can also seek admission in UET Lahore, UMT Lahore, and GCU Lahore to your desired engineering or non-engineering programs they are offering in 2019. 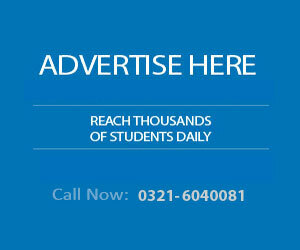 Punjab University BA/BSc (part 1) and B.Com (part 1) admission advertisement and other ads will be updated soon. Interested candidates can take Admission in 2019 at Punjab University by downloading and filling the Admission Form 2019 which can be obtained by the PU admission office or its affiliated institutions by obtaining the prospectus. 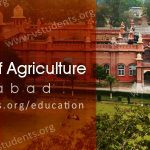 You can also check Aiou Admission form Download and UOS admission Form with complete details for regular and private studies. Students must fill the Admission Form carefully. Wrong filled and incomplete admission forms will not be entertained by the University administration. You can also Download Admission Form 2019 online from Here. 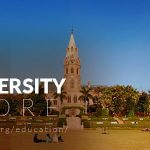 Acquire PU Admission Form 2019 from university admission office or download admission form 2019 by clicking Here. Fill the PU Admission Form with care for getting admission in any degree program advertised by the PU for the year 2019. Any False statement or bogus information provided in the Admission Form may lead to cancellation of admission at any stage by the University administration. Punjab University is offering admission in different academic programs with affordable and flexible fee structure and payment mode. The fee structure for various degree programs offered by the PU is available in PU Prospectus 2019 as well as online on the university official website for the information of the students and parents. You can see the PU Fee Structure for different degree programs by clicking Here. The PU has announced the start of admissions 2019 in various bachelors and masters degree programs including BA BSc BBA BSCS, BS IT, Pharm-D, B.Sc. (Hons.) Agriculture, DVM (Doctor of Veterinary Medicine), B.Sc. Agricultural Engineering, BSc Civil Engineering, B.Sc. Electrical Engineering, BS Botany, BS Microbiology, BS Chemistry, BS Mathematics, BS Physics, BS Biotechnology, BS Statistics, BS Zoology, MA MSc, MCS, MSc IT, etc. Minimum admission requirements for MS and M.Phil degree program having Master degree in relevant subject with minimum 45% marks under the Annual System and 50% marks under Semester System are eligible. The other requirements are the same as prescribed by the HEC for different degree programs. For admission into the Ph.D. program offered by the PU, a candidate must have MS M.Phil or equivalent degree with 1st division. GAT or GRE is also mandatory for admission into a Ph.D. program. PU is offering the admission 2019 in MS and MPhil programs in different departments which includes Management Sciences, Business Administration, Computer sciences, Urdu, English, Physical Education, Chemistry, Physics, Mathematics, Commerce, Social Studies, and Islamic Studies. PU grants a number of scholarships to the talented and needy students based on the criteria approved by the administration. Merit-based scholarships, British Council Scholarships; PEEF Scholarships are also available to the students allocated by the Government and private organizations. Deserving students can also obtain the facility of Interest-free loans from the university. Punjab University is going to provide job opportunities for male and female. PU has appointed Lectures and assistant professors through a competitive selection procedure after the approval of Syndicate. More detail about PU Jobs Announcements 2019 can be seen by clicking Here. Address: Punjab University, Bank Road Lahore. plz show the the last date of form submission and also show the admission form for BBA regular and also the marit for BBA…..
what is the last date of submission of form for BS program? is the date of BS program. 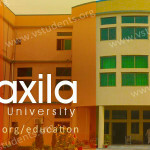 i am studying in govt college pesh, my bsc result of 4th year would be late can i get admission in punjab uni lahore? Plz M.cs addmision form submit krwany ki last date bta dain. last date of M.cs submition..
how to get admission in MS Clinical Psychology?? Plz tell me about the last date of admission for M.A English. Plz tell me last date of Admission in m.a nd fee structure. What is the last date for applying in Punjab university in the department of engineering? Please tell earlier. I have Passed B.A from PU and now I want to get admission for M.A as Private Student. Please tell me about Procedure for Admission. What is the last date for submission of form for geology? Yes, you can get admission in punjab university for MA.